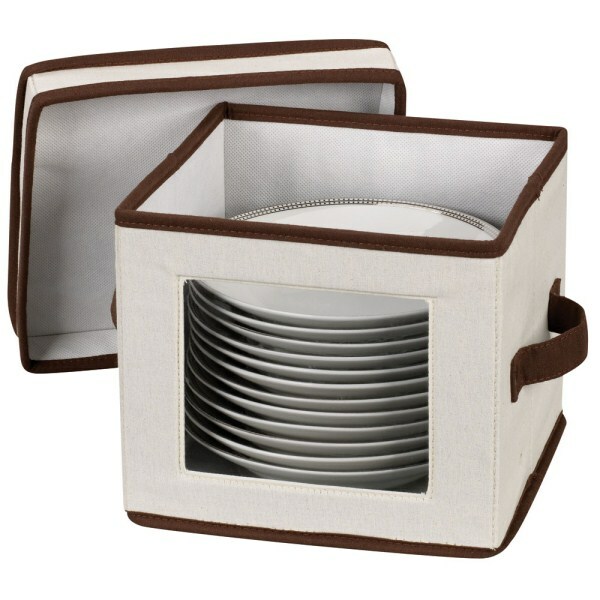 This Vision china storage box is designed specifically for storing desert plates/bowls, and has a see through window which allows you to see exactly which china piece and pattern you have packed away. It comes with felt protectors to store a service for 12. 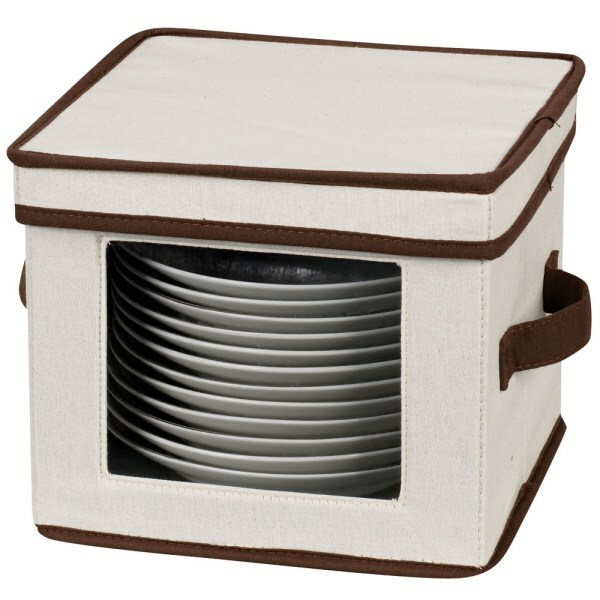 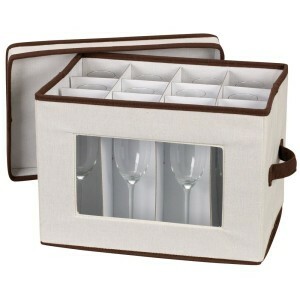 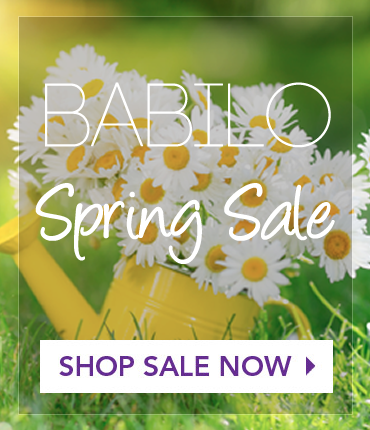 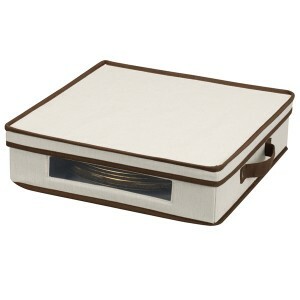 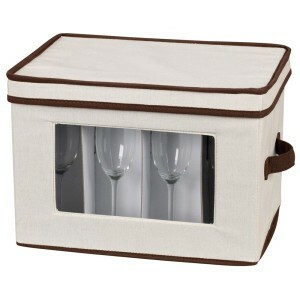 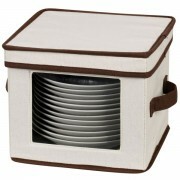 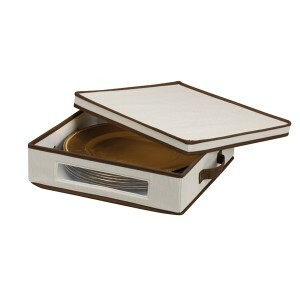 Constructed of poly/cotton canvas, this attractive storage box is strong and durable. 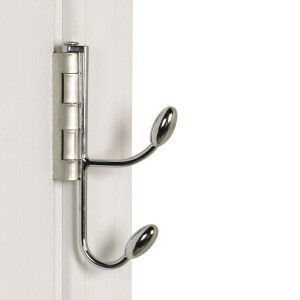 The rivet handles support weight up to 25 lbs. 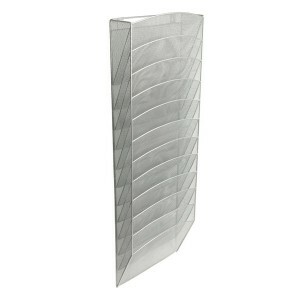 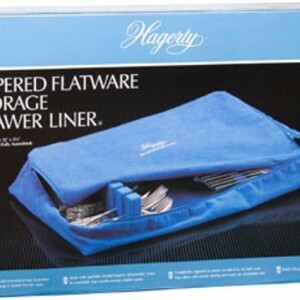 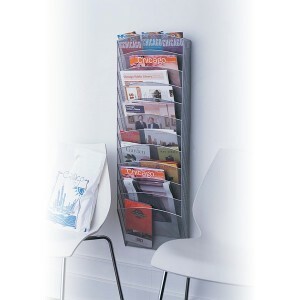 Folds flat for storage when not in use.